Here’s what’s happening in the world of television for Sunday, April 7. All times are Eastern. 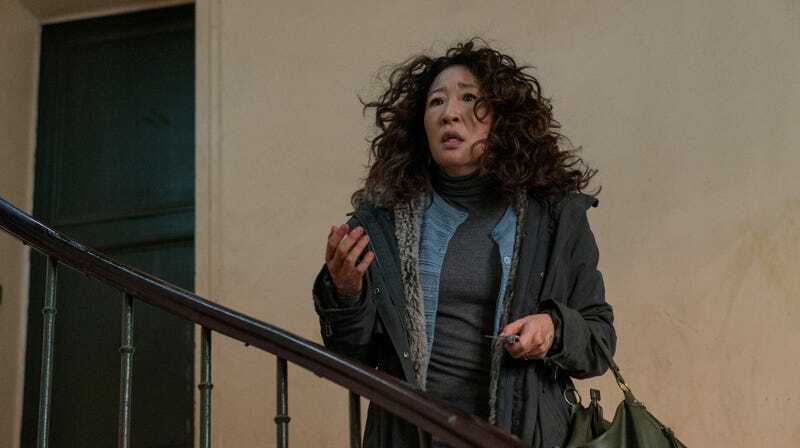 Killing Eve (BBC America and AMC, 8 p.m., second-season premiere): A week from today, the dragons and snow-zombies program returns to the land of television. We will not attempt to deny that we anticipate its arrival eagerly. But it is not an exaggeration to say that right now, in this moment, we only have eyes for Killing Eve. Sorry, Game Of Thrones (plus Barry, Veep, Billions, and so on). We’re busy. Lisa Weidenfeld has taken out her fluffiest pink dress, readied a bag of bon-bons, and is ready to guide you through the premiere—which will, like every episode this season, air simultaneously on AMC and BBC America. The Chi (PBS, 10 p.m.): Showtime’s promising Lena Waithe-created series returns for a second season tonight, with its reliably excellent cast in tow. Keep an eye out for both Danette Chavez’s pre-air review and clips for Jason Mitchell’s Emmy reel.